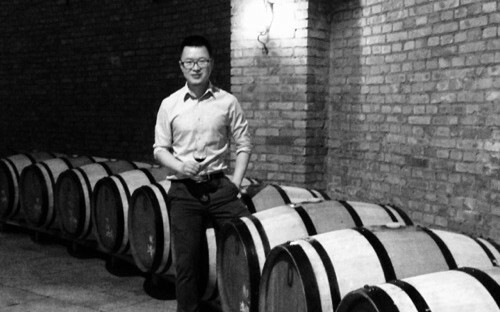 International wine connoisseur Lan Liu moved from China to begin an MBA in food and wine at Bologna Business School. Lan studied viticulture and enology – the study of grapes and wines – at undergraduate level in China and masters level in Europe. He experienced wine culture in France, Germany and Spain, before returning to China to work as an enologist and technical sales manager at Nomacorc, the world’s leading alternative wine closure company. For the ambitious MBA student, who is passionate about life in Italy and determined to build China’s reputation as a global wine producer, BBS, which is based in Italy and has links with local wine producers, was the perfect destination. Although I enjoyed an intense and challenging early career in the wine industry, as time went on, I began to realize that the work I was engaged in repeated itself and I was characterized and constrained as a product salesman. That’s when I decided to make a change, to deepen my knowledge of the industry and broaden my career. Why did you choose to study at Bologna Business School in particular? I have always wanted to add Italy to my wine education map and there is no better place than BBS to explore the essence of the food and wine business. Italy recently regained its first place in wine production and Bologna is the city of food! The slogan “Taking Italian Excellence Global” finally brought me here, because I truly believe the fundamental basis of any business is the persistent belief in exploring excellence. What was the hardest thing about the MBA application process? Personally, the most difficult part was arranging a reference letter from my boss. You fight for the company’s prosperity and make good friends so it wasn’t easy emotionally. It’s a painstaking process; your boss is aware of your plans to leave, writing down compliments to send you away from the company. What is the state of the wine industry in China? China is in the midst of a red wine revolution. Wine consumption has grown dramatically and China is now one of the most promising global markets for wine. Imported wine accounts for nearly half of the consumption with French wine prevailing almost everywhere. While foreign wines are welcomed by Chinese consumers, the domestic wine industry is also growing at high rate. With leading producers like Changyu, Great Wall and Weilong, regions like Ningxia and Xinjiang are gaining international recognition. It’s hard to pick a favorite but I do want to recommend a Chinese wine from Ningxia, it’s Vintage 2013 Syrah produced by Chateau. The wine itself is beautifully refined, very smooth with a complex fruity and earthy flavor. I’d love to intern in an Italian multinational food and wine company to practice what I have learnt from the MBA and to be able to compete in the global talent market. Although I’m open to opportunities in other industries, I feel that deep in my heart, my love is for food and wine!